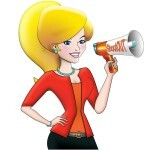 Disclosure: I was invited as a guest to Menopause the Musical, with no expectations of a review or post. The opinions expressed herein are entirely my own and based completely on my own thoughts and experiences. …and the resulting romp is a musical comedy of hysterical proportions. Lured inside by a Bloomingdale’s lingerie sale, 4 women from different backgrounds form an unlikely friendship, bonding over menopausal hot flashes, weight gain, brain fog, chocolate cravings, and mood swings. The actresses from the parody, Menopause the Musical, humorously belted out the woes of midlife mayhem through rewritten popular 60s, 70s, and 80s songs. One of my personal faves was the classic song “The Lion Sleeps Tonight“, wittily changed to “My Husband Sleeps Tonight“. Talk about comic relief! The hilarious jungle noises, animalistic dance gyrations and actresses’ comical expressions were priceless and had me rolling! Remember actress, Cindy Williams of Laverne and Shirley TV fame? She was there too as acting hostess and even popped on-stage throughout the performance. You can join in the uproarious Menopause the Musical comedy at the Straz Center, Tampa, Florida, June 3rd-7th, 2015. For more info and to snag tickets, visit Straz’s Website. Thanks to the Straz Center for inviting me! Had a blast! 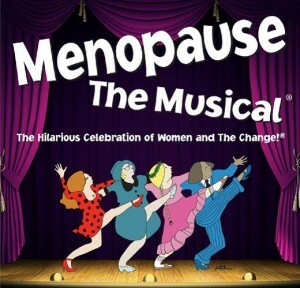 This entry was posted in Blog, To Experience and tagged events, Menopause the Musical, Parody, Straz Center, tampa. Bookmark the permalink. LOL You’re too funny! Thanks for stopping by, Beth! I have always wanted to catch this show. It sounds like a good night with girlfriends! You would LOVE it! Was too funny!